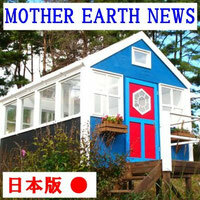 Let us chat anything we want with browsing Mother Earth News Magazine. 6:30 to 9:30 pm on 16th Jan 2013 at a restaurant or cafe near JR Kinshi-cho station. Fee:1000JPY including one copy of MEN Mag. Please give message by 14th Jan from contact page to attend.